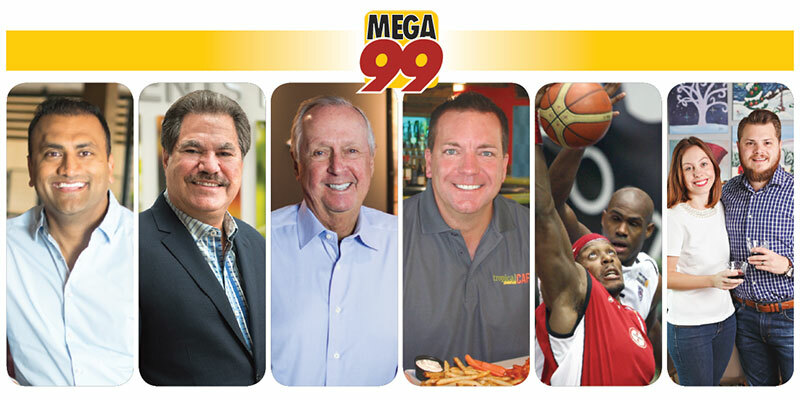 We're starting 2017 in our customary way: with our "Mega 99" list of the largest U.S. franchisees, ranked by total number of units. We also offer six stories of successful multi-unit operators--a half-dozen diverse profiles that highlight both modest and mammoth organizations. Together, they provide a broad spectrum of size, industries, and scope of operations. Perhaps more important, each has been successful in their own way and has a unique story to tell. Successful franchisees, from mega to mini, must become leaders who know how to make a deal work, hire the right people, and create a dedicated, hard-working team. With the right combination of ingredients, they're able to build and sustain organizations that offer great products and services, serve customers, provide jobs in their communities, and build revenue and royalty streams. Once again we are privileged to have been granted a peek behind the scenes at six franchisees who have carved their own paths to success. These are highly personal stories of how they've climbed the ladder, overcome obstacles, and grown not only their organizations, but also their employees and themselves. It's rewarding and inspiring for us--and we hope for you--to read their stories, which are far from complete. Al Bhakta is managing director of Chalak Mitra Group, a diverse company that is both franchisee and franchisor. Operated by a group of seven friends who work and play hard together, the company operates and oversees 253 restaurants in 27 states with brands including KFC/Taco Bell, La Madeleine, Genghis Grill, Elephant Bar, Fireside Pies, Pepper Smash, and Ruby Tequila's Mexican Grill. Eddie Rodriguez, CEO of JAE Group in Boca Raton, is one of the nation's 10 largest Wendy's franchisees. With 179 Wendy's in Florida, New Mexico, and Texas and 43 years of franchising under his belt, he is committed to a brand he believes in. As Dave Thomas once told him, "Take care of the business and the business will take care of you." Rodriguez is living proof. Dave would be proud. Harry Rose, who founded The Rose Group in 1985, has continually earned honors from the franchisors lucky enough to attract his interest. Today The Rose Group operates 56 Applebee's, 9 Corner Bakery Cafes, and 2 Shannon Rose Irish Pubs, employing 4,500 people across New Jersey, Pennsylvania, Maryland, and Delaware. Says Rose, "It's all about hiring the right people and giving them the challenge to execute." We've also "Reconnected" with Sam Osborne, who has been on the move since we profiled him in early 2009. Osborne is the longest-running franchisee in the Tropical Smoothie Cafe system. When we last interviewed him he was busy building out his Florida territories as both an area developer and operator. Today he has 23 locations, with four more in development. He has also pioneered TSC's newest concept, Island Wing Company, and has opened his first in Tallahassee. K'Zell "Zelly" Wesson has been a professional basketball player for international teams for more than 17 years. He currently plays for a pro team in Turkey. At 39, the six-foot-seven-inch forward recognizes that there will be a lot of life after sports. So in 2013, he opened his first Workout Anytime fitness center in Stockbridge, Ga. He now has three units up and running and another being built. His unique story includes overseeing his franchise operation from 6,000 miles away while the season is under way. New to our pages this year is a regular look at "Under 30" multi-unit operators. Veronica and Tyler Jordan both had 9-to-5 jobs before deciding to look for something more creative and profitable. After searching for 3 years, she responded to an ad for Wine & Design and they were on their way. She's only 27 and he's 28, but they already have three units open in Maryland--and bigger plans for the future. With two young children in tow, this young family is redefining on-the-go. Whether you have a single unit or dozens spread across several brands, you're sure to find something interesting, educational, even entertaining in these six stories of hard-driving, successful multi-unit franchisees. This is our annual Mega 99 issue, so be sure to check out FRANdata's list of the country's largest multi-unit franchisee organizations, ranked by number of units, starting on page 46.